Austal Limited (Austal) (ASX:ASB) is pleased to announce the RNOV Al Mubshir has been delivered to the Royal Navy of Oman. The on-time and on-budget delivery of the vessel cements Austal’s reputation as a globally competitive defence prime contractor. The RNOV Al Mubshir is the first of two 72 metre High Speed Support Vessels (HSSVs) to be delivered to the Royal Navy of Oman under a US$124.9 million design, construct and integrated logistics support contract. 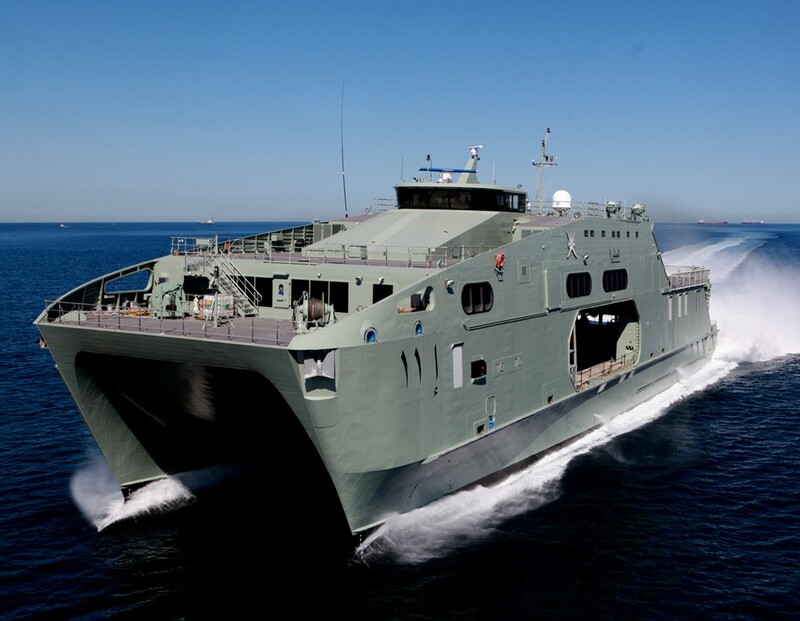 Austal commenced construction of the HSSVs in August 2014 at its Henderson, Western Australia shipyard, with the second HSSV scheduled to be delivered later in CY2016, in line with the contract. 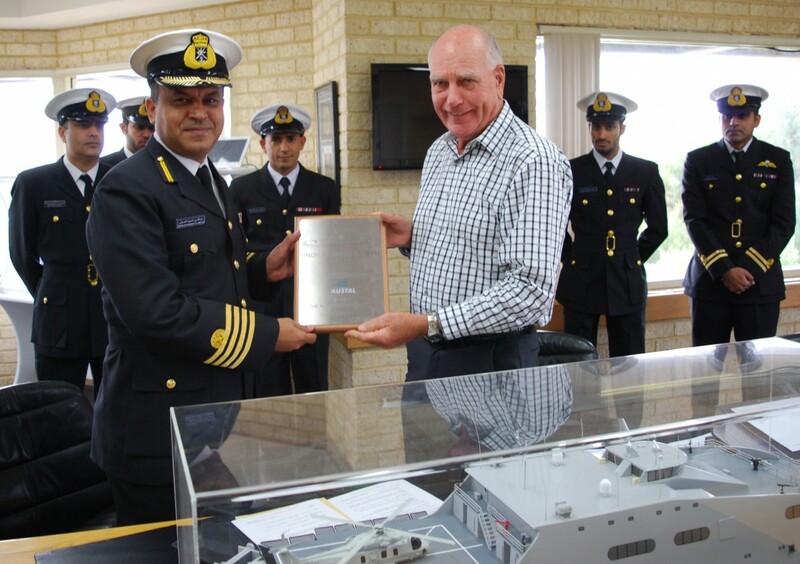 Presentation of the Builders Plaque for the 72m High Speed Support Vessel (HSSV) RNOV AL MUBSHIR (S11). The HSSV offers a range of capabilities to support naval operations, including helicopter operations, rapid deployment of military personnel and cargo, and search and rescue operations. The vessels are expected to be deployed with a similar mission to the U.S. Navy’s Expeditionary Fast Transport (EPF) program. Austal manufactures the 103-metre EPF at its shipyard in Mobile, Alabama. Austal Chief Executive Officer David Singleton said delivery of RNOV Al Mubshir on schedule and within budget reflected Austal’s international competitiveness and its capability to design, construct and export high-value defence vessels to new markets from its Australia shipyard. “The HSSV leverages our revolutionary intellectual property and technology in high speed vessels and demonstrate our proven ability as a prime defence contractor to navies across the globe,” Mr Singleton said. “Construction of the second HSSV is progressing well and on track for delivery to the Royal Navy of Oman later this year. Signing of the Interim Acceptance Certificate for the 72m High Speed Support Vessel (HSSV) RNOV AL MUBSHIR (S11).